Welcome to Day 6 of my “8 Days of Hanukkah Around the World” party! I am so thrilled that we are over halfway through this fun week! So far we have visited China, Peru, Poland, Iran and Italy! Every day this week and through the holiday, I’ll be sharing a new recipe from a different country. So be sure to check back throughout the week to see where we are traveling to next! Today we will be visiting…Korea! 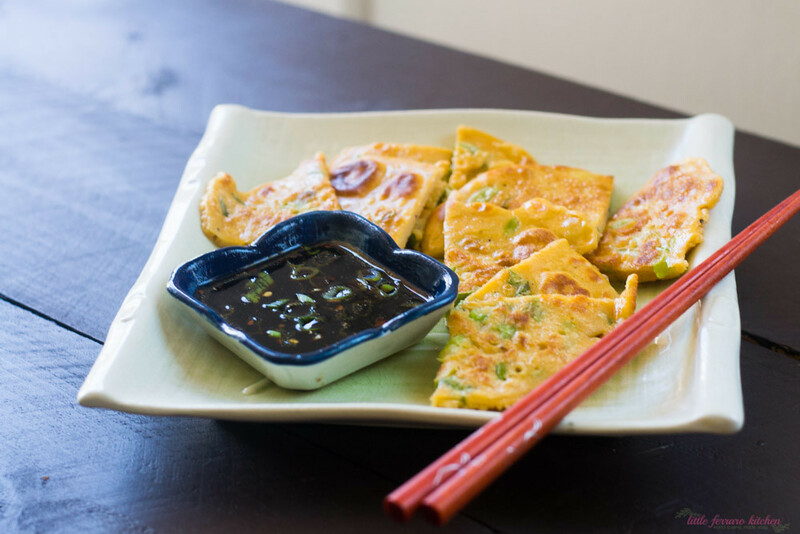 Keeping it simple today with this Korean scallion pancake, AKA Pajeon. Drizzle a non-stick skillet with sesame oil and bring to medium-high heat. In a bowl, add the rest of the pancake ingredients and mix together to form a batter that looks very similar to a pancake batter. Use a spoon or ladle to pour batter into small round pancakes in the hot pan. Fry on 1 side until golden brown, about 2 minutes and flip over and fry other side. 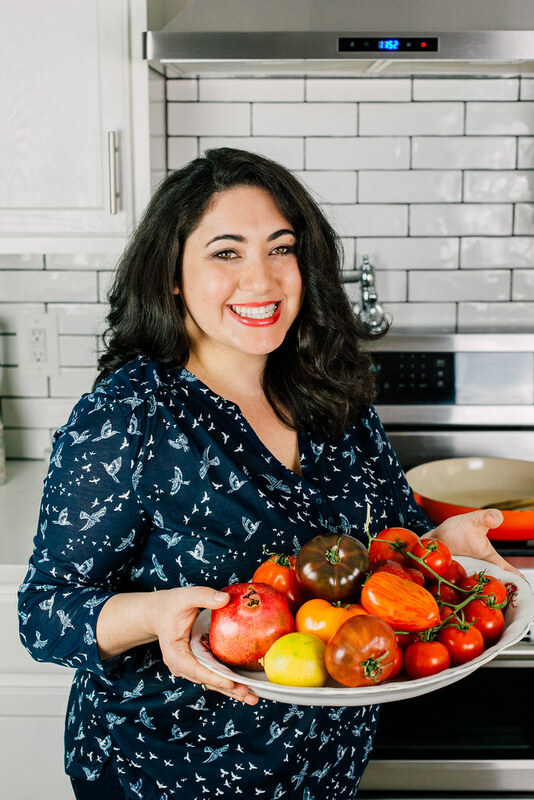 This is such a simple recipe and you can add a multitude of variations, such as sea food, or beef or pork (if you don’t keep Kosher). Because we are in the middle of Hanukkah, I wanted to keep this fried treat quick and simple. 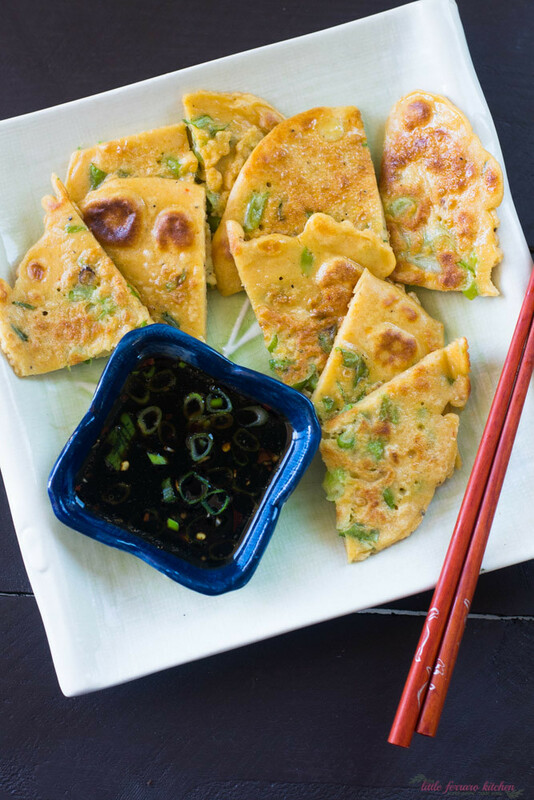 You basically make a pancake-like batter, add a bunch of chopped scallions and some flavorings and fry away. This would be perfect for Asian food on Christmas too!